We don’t believe in keeping things bottled up – whether it’s great wine or your weekly frustrations. Life is to be lived, and healthy venting, exquisite tastes and good company will only help. So we built Whine: a stylish (but not stuffy) place to air your grievances, relax or celebrate with friends while enjoying exceptional food and drink unlike anything else in the Great Lakes Bay Region. Have a seat at our 30-foot custom bar crafted from old wine barrels, or in one of our overstuffed leather chairs. Choose something from our enormous glass wine cellar stocked with the largest selection around. Kick back in the sunshine on our patio or play a game of bocce ball on our custom-made court. There is plenty that makes Whine a break from the mundane and an escape from the annoyances of your day. We take reservations for parties of six or more. Reservations are required for groups of 10 or more. 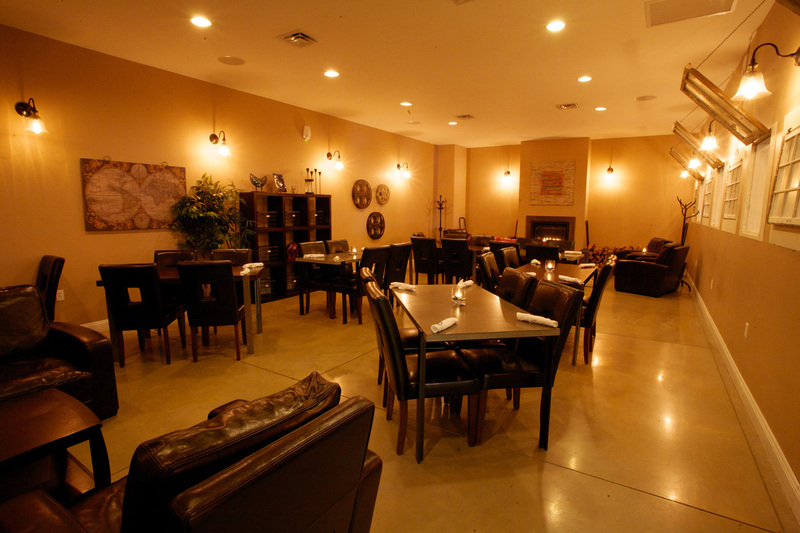 Whine’s Fireside Room provides a cozy space for parties and other events. To check availability, call Whine at 989-835-5222 and ask for Tracy.